Pillaging 101 - Leave no building unburnt, keep your axe where you can reach it, and do not forget to wear a helmet! 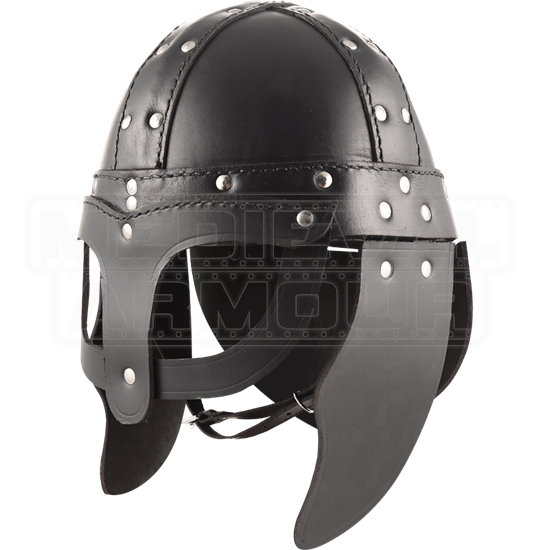 If you are a warrior looking to keep your head covered, look no further than the Leather Viking Helmet. 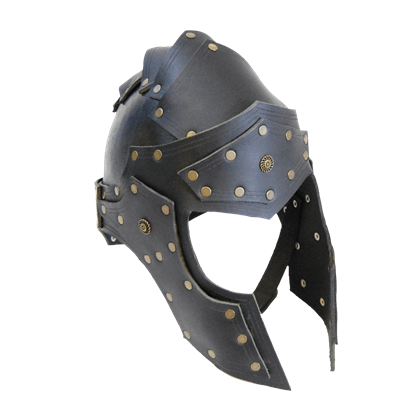 This Norse helm is made of thick, durable black leather and draws its design from the traditional Viking spangenhelm. 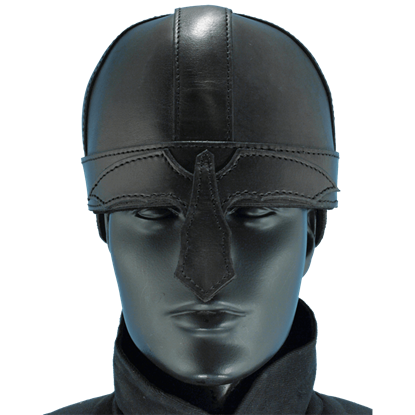 Its front is fitted with a nose and eye guard, and its sides feature cheek guards. The back of the head is also protected by a wide extended guard. An adjustable inner liner helps provide best fit, and a chin strap adds security even in the heat of battle. 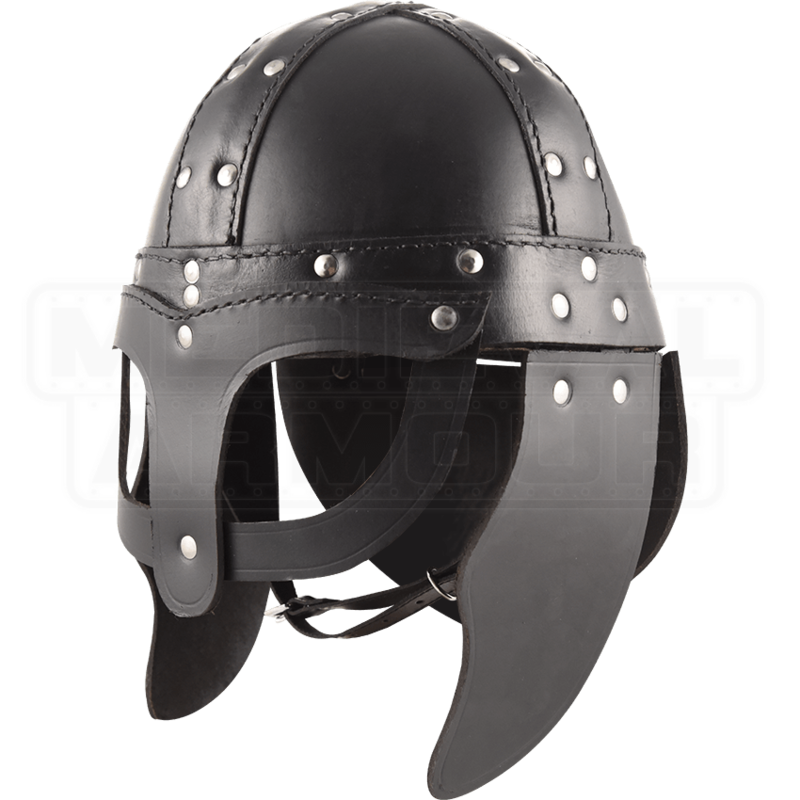 The Leather Viking Helmet is perfect for reenactment events, costume use, and LARP, and it makes a great addition to any warrior armour ensemble. Traveling from a distant land, a group of ancient warriors came to claim goods and supplies for their people. 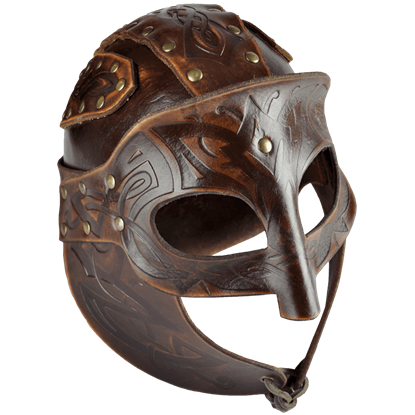 Easily step into character with the traditional Viking Mask Helmet, and prepare to conquer the rest of the world. 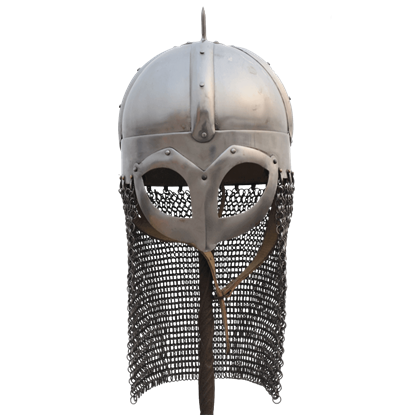 If you are looking for a Viking helmet to wear for your reenactment, then you may wish to consider wearing this Gjermundbu Helmet with Aventail. 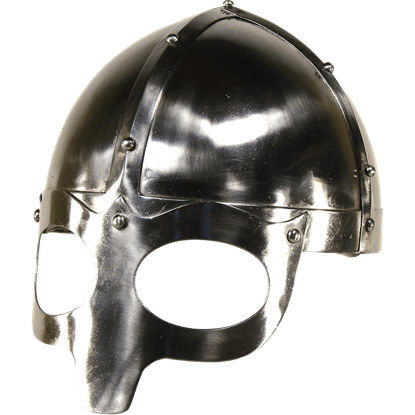 Not only is it highly protective, but it is also a historically accurate Viking helmet. 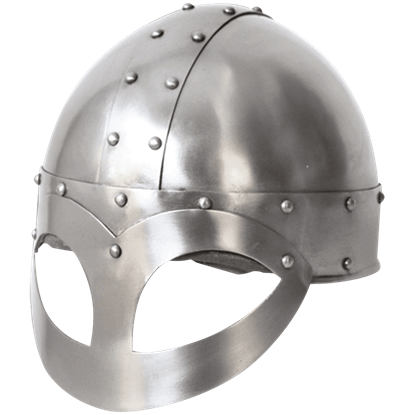 As the time for battle inevitably draws nigh, you place the Fredrik Steel Viking Helmet onto your head. 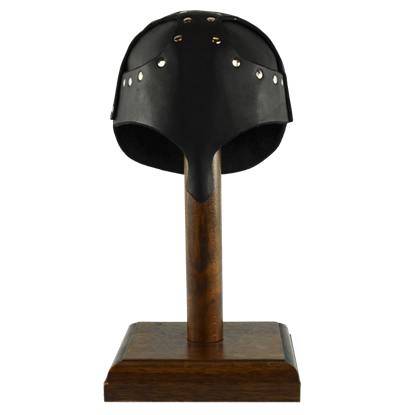 Made of steel, the rounded skull cap protects your head while the attached face panel guards your eyes, still allowing sight.